Leaves Warehouse in 4-5 days. 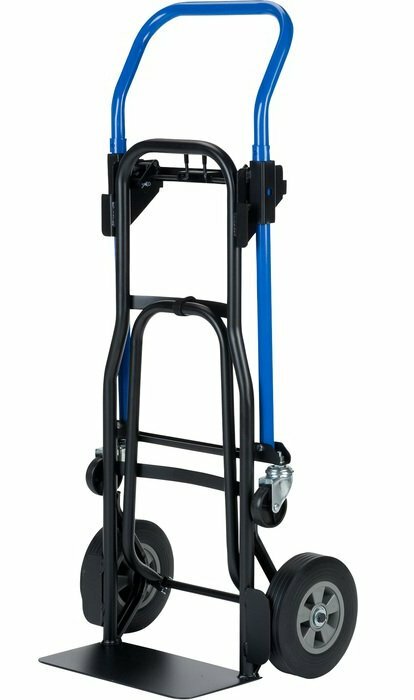 This Harper Trucks 3-in-1 Quick Change Convertible Hand Truck with Nose Extension allows easy conversion from a 2-wheel dolly to a 4-wheel, 45° incline truck or platform truck in seconds. This unit locks into each position without pins or clips to lose. Constructed with a robotically welded 1in. 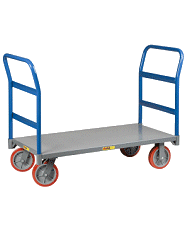 steel frame, this truck is designed for durability. It features a 14in. x 7in. base plate, a large 34in. x 13in. platform bed and a 20in. retractable nose extension for help with large, bulky items. 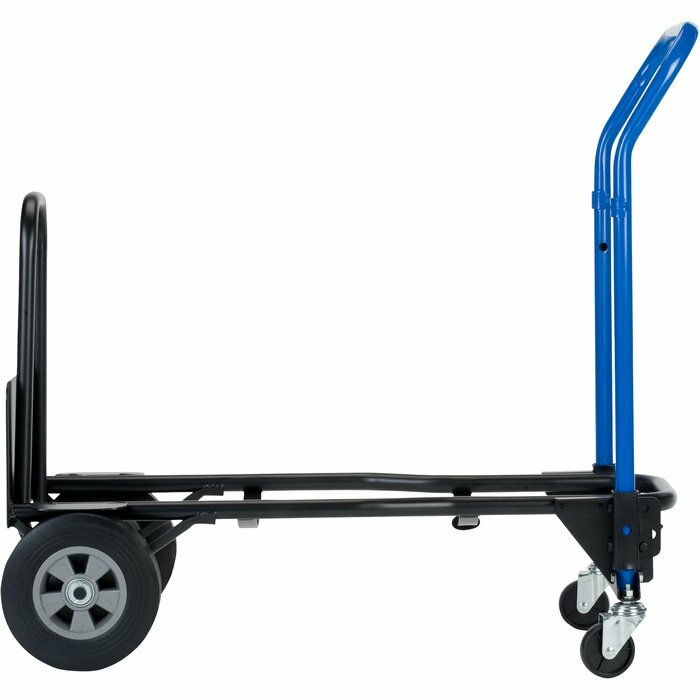 The continuous flow handle provides firm control and maneuverability with minimal fatigue. The 8in. 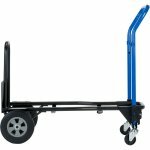 solid rubber wheels and 3in. 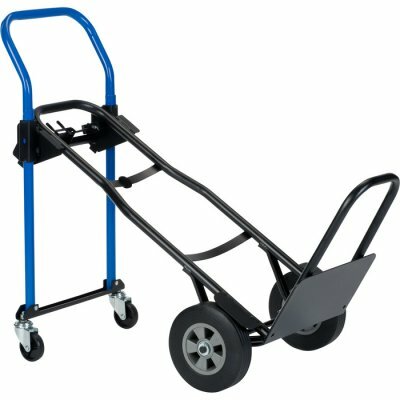 swivel casters roll smoothly for easy load transport. 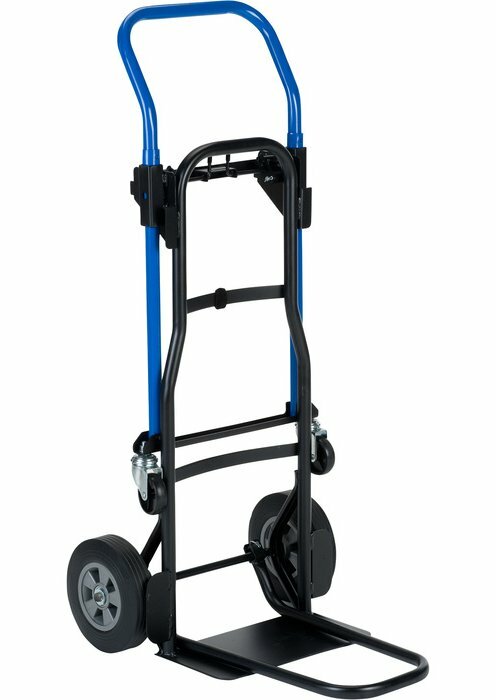 Capacity 500 (2 wheels) / 600 (platform) lbs.